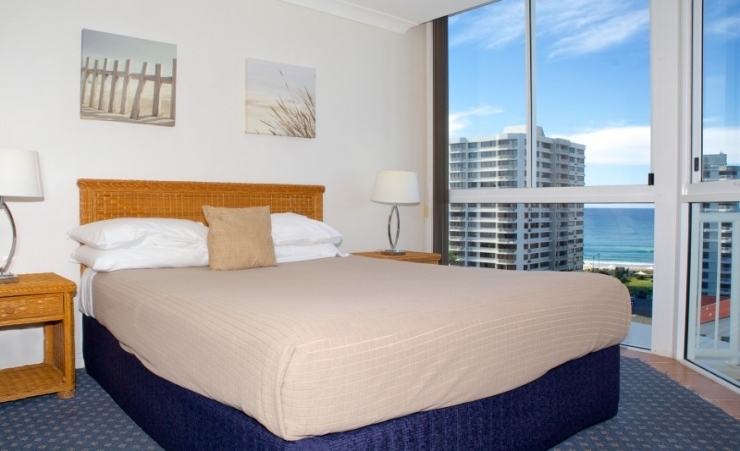 It's the perfect combination for many travellers to Australia – easy access to the heart of the Gold Coast (and Surfer's Paradise) as well as a top notch four star hotel that's big on relaxation. So you get all the frenetic activity you want during the day and a place to chill in the evening – perfect. That's what's on offer at the Surf Parade Resort. 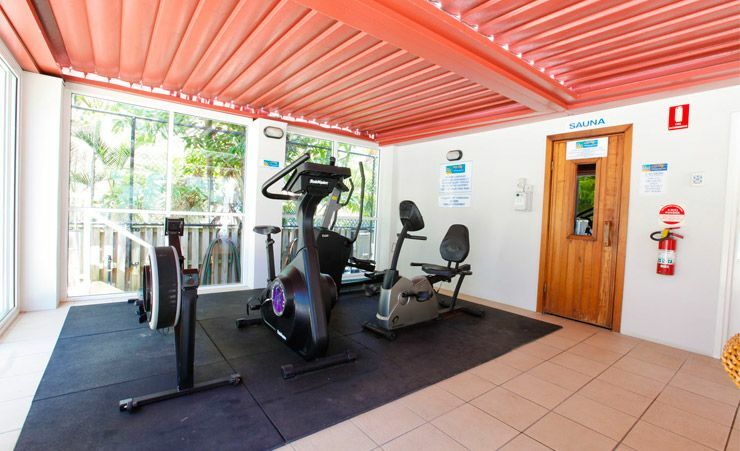 It boasts a much laid back atmosphere that's geared to making sure you relax. 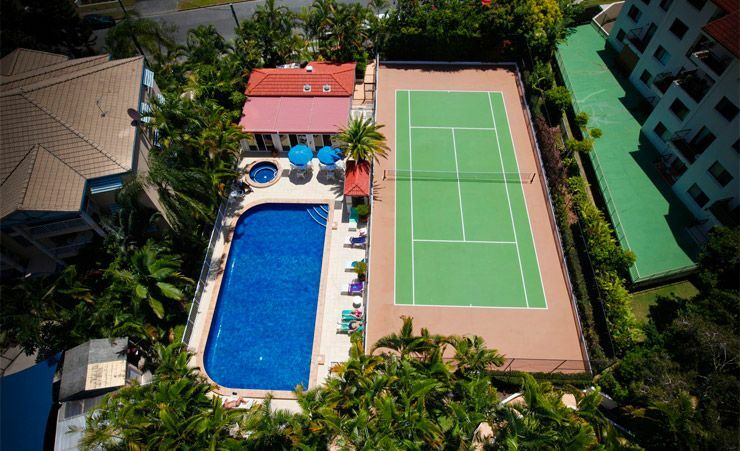 And yet, it's just a short stroll from the heart of the action in Surfer's Paradise – one of the big draws to this part of Australia. 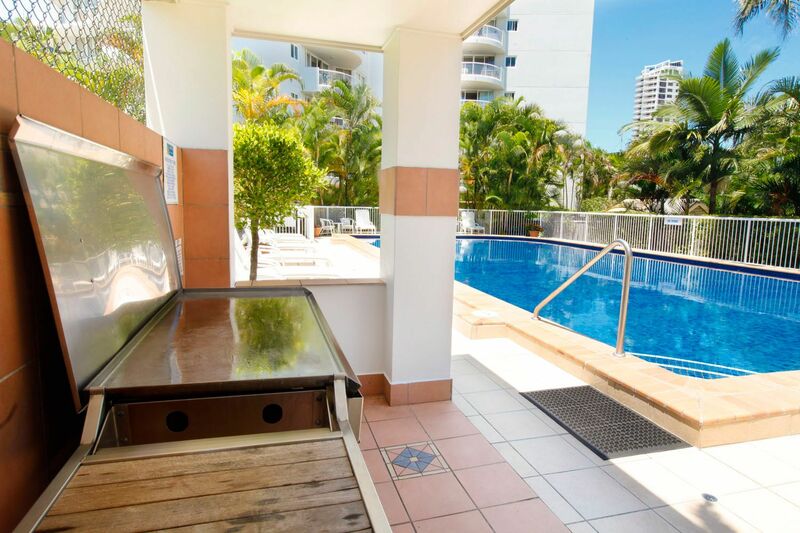 With its excellent heated pool, Jacuzzi and sauna, big views from every hotel window and an easy sense of style, the Surf Parade Resort is a quintessential Australian hotel. Take a look out over the horizon and you'll see that tell-tale mix of big modern structures and big scenery. 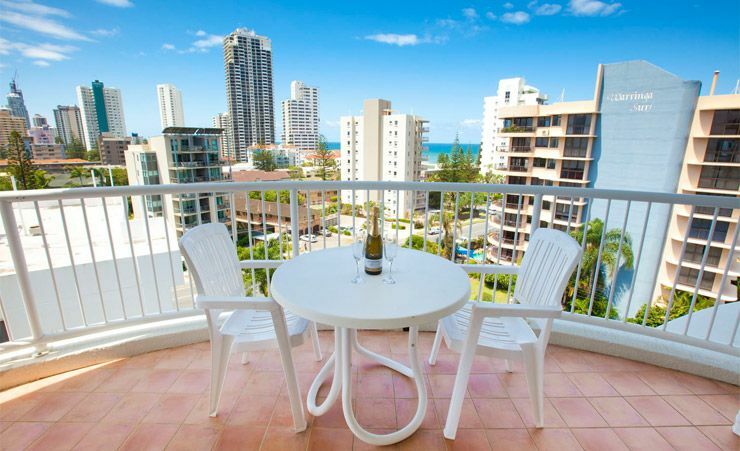 Every room has its own balcony so you can really get to know the view over the course of your stay or, why not make the most of this stunning location and upgrade to a one bedroom ocean view apartment? 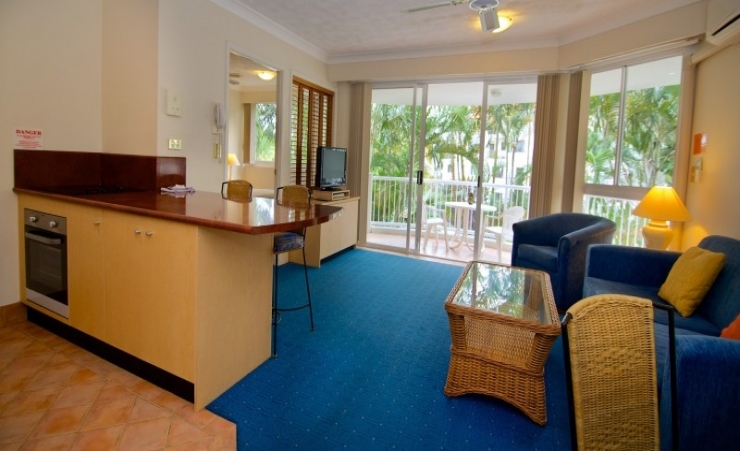 All rooms feature separate dining and sitting rooms with TV and telephone) and dining rooms, fitted kitchens with microwave, oven and hot plates and ceiling fans throughout will keep you cool. 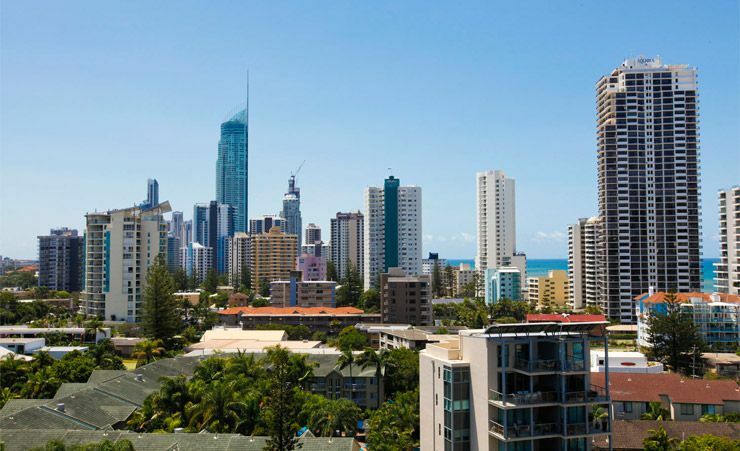 As well as easy access to the lively Surfer's Paradise resort, you'll be well placed to visit the Gold Coast's other big attraction, Broadbeach. From here you can take the monorail out to Jupiter's Casino for an exciting evening out. 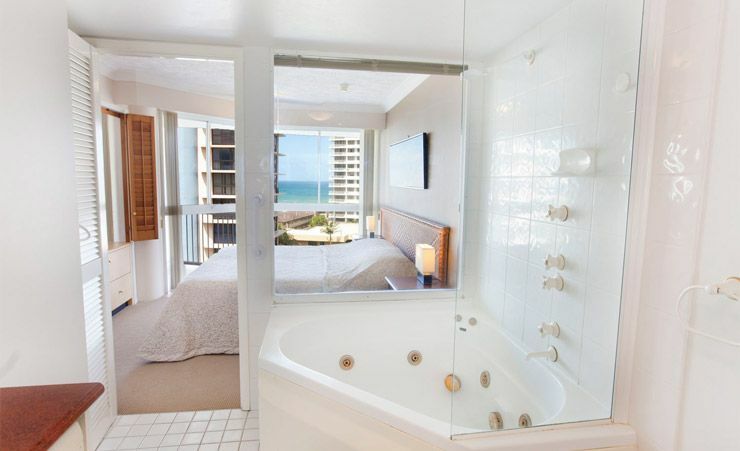 The Surf Parade Resort is that rare kind of hotel that really does give you the best of all possible worlds. It's at the hub of surf culture in this area, but it remains a relaxed and laidback place to stay. 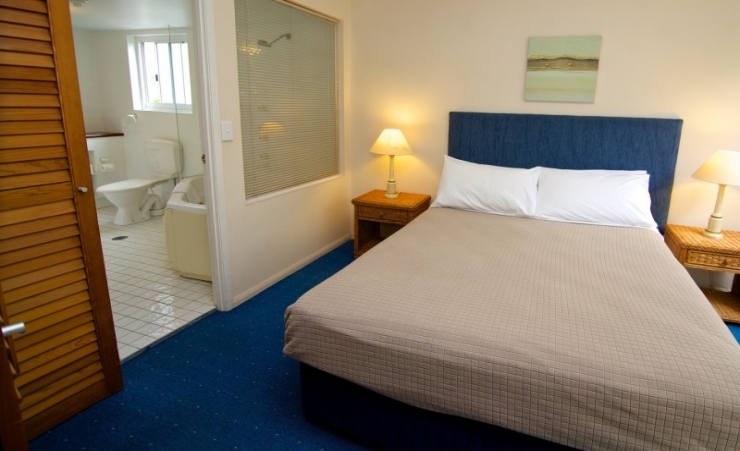 Find out more about your accommodation and the in room facilities at the Surf Parade Resort . Ideal for couples and small groups of friends, these air conditioned, modern apartments feature full kitchens, laundry facilities, WiFi access and spacious living and dining areas. 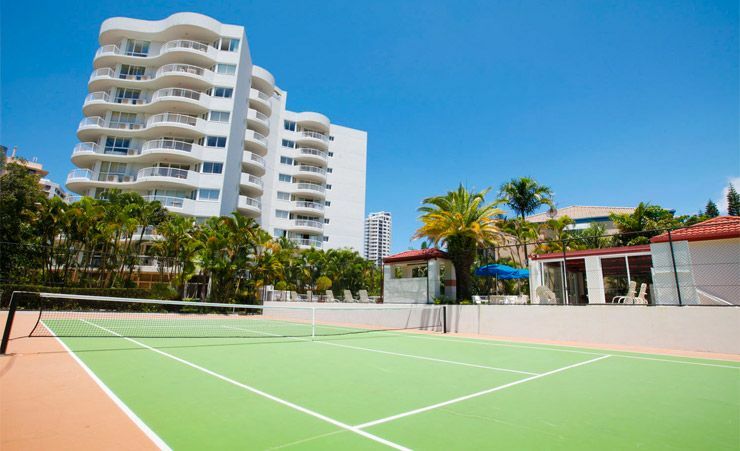 Ideal for couples and small groups of friends, these air conditioned, modern apartments feature full kitchens, laundry facilities, WiFi access and spacious living and dining areas. Enjoy the fresh ocean breezes on your own private balcony. 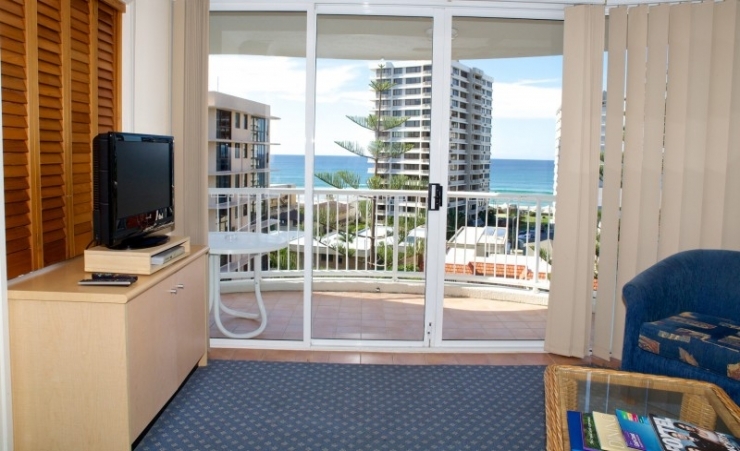 Why not upgrade to a 1 Bedroom Apartment with an Ocean View from £4pp daily? 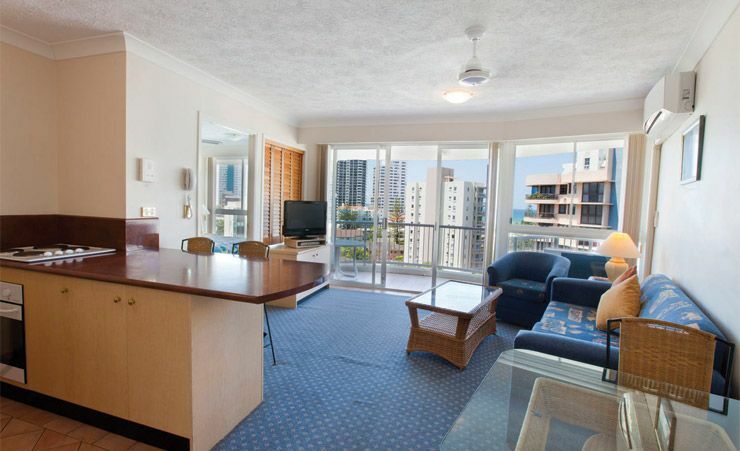 Why not extend your stay and visit Cairns, Melbourne or Perth? The staff were extremely helpful and informative. Receptionists Cathy and Tammie were excellent. Hotel in a very good location. Facilities (pool, gym, sauna, etc were wonderful). Surf Parade Apartments are very well situated overlooking the sea we had a sea view, the staff were very helpfull, our room was very clean everything worked but it was a bit dated, having said that we would go there again. Mercury has a strong positive reputation. Our holiday experience was made so much more enjoyable by your excellent arrangements and services. Nice, apartment & excellent staff. 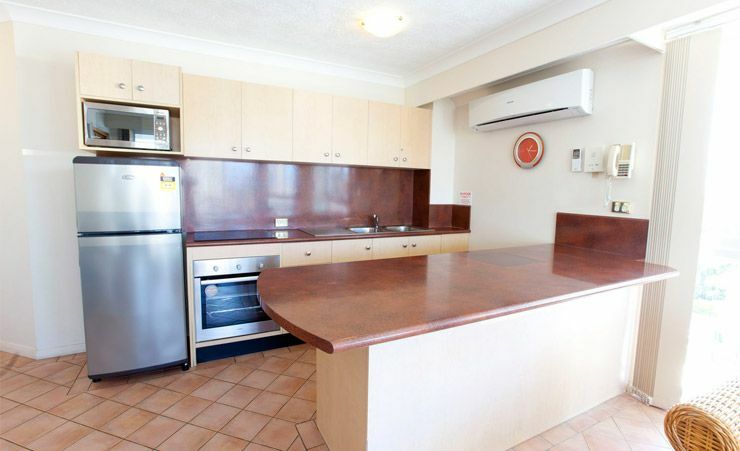 The location is ideal and it is very well maintained. The staff were very pleasant and helpfull and the facilities are excellent, especially the spa! We stayed here for 6 weeks and enjoyed every single moment of it. Cannot fault either the hotel, staff or facilities. Staff were so polite & helpful, nothing was too much trouble. 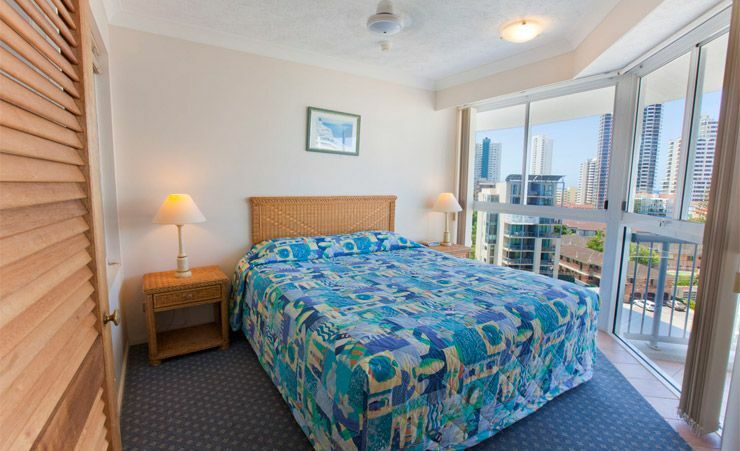 Surf Parade Resort is actually on the Gold Coast, approx 1 hour drive from Brisbane. Yet again, a thoroughly enjoyable and hassle - free visit to Surf Parade Resort. Cathy, James, Dustin and all the staff were all friendly, helpful and efficient. We asked for a specifically located room we liked previously, and they were happy to oblige us. We will certainly be returning..hopefully soon. A very nice, well-managed, medium-sized resort complex which attracts both short and long-stay guests (the 'wintering' Americans and Canadians are a great source of local information!). 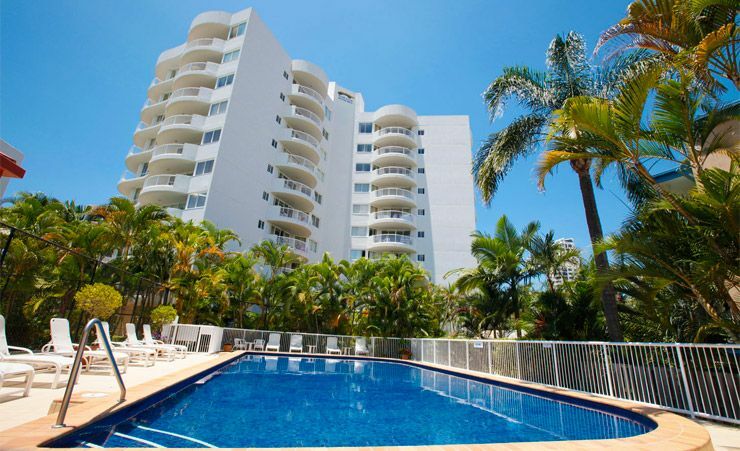 The one-bedroom apartments are well designed and the swimming pool/spa an excellent size. The provision of a washing machine and (unused in summer) tumble drier within the apartment meant no lorry loads of washing to bring home at the end of our three week stay. Location is good to walk to either Broadbeach or Surfers Paradise or the Florida Gardens stop on the new tram line is approx. 100 metres. The beach is also within 100 metres.